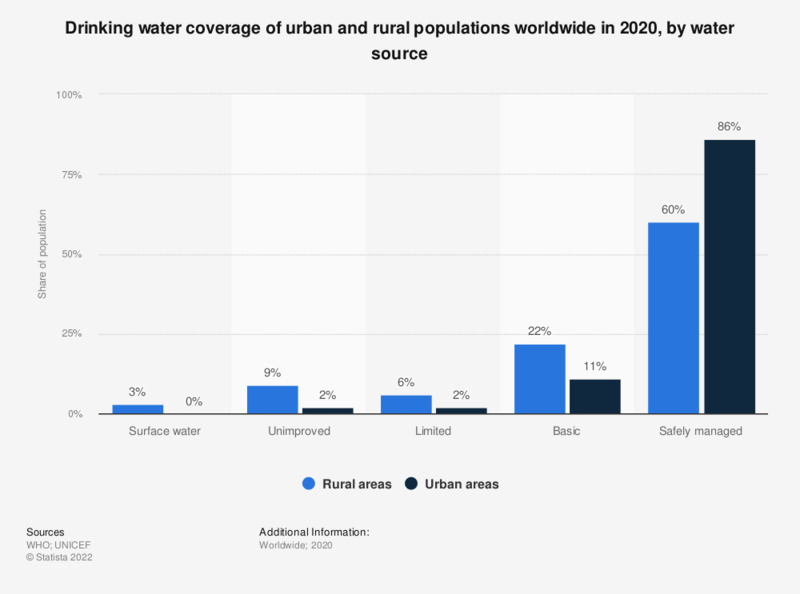 This statistic represents the proportion of the population in urban and rural areas that has access to water sources in 2015, by type of water source. In 2015, around four percent of the world's rural population had access to surface water. Unimproved water sources are those that are exposed to outside contamination, particularly faecal matter.